I realized in January that this was my last official quarter as an undergraduate at UC Irvine. I’ve been seeing a lot of my friends taking trips to San Francisco, Seattle, and even studying abroad. Studying abroad was something that I never considered doing because I knew that it wasn’t in my budget. So instead, I decided to plan a little weekend road trip to Arizona! The only time I’ve ever been out of the state was for Las Vegas, and I’m not sure that even really counts. My family was never big on vacationing so I decided I might as well plan this trip with my friends. We started on the road early Friday morning, picked up the rental car in Orange County, and were on our way. Our first stop was in Las Vegas, Nevada for some lunch. We wanted to get to our hotel in Arizona as fast as we could, so we didn’t have time to take detours or stop to take any pictures. We drove through Utah and saw what we could of it on the freeways, but I wish we had an extra day to hike Angel’s Landing. We arrived in Arizona around 8PM and started our full day Saturday. Our hotel was in Page, near the Antelope Canyons. 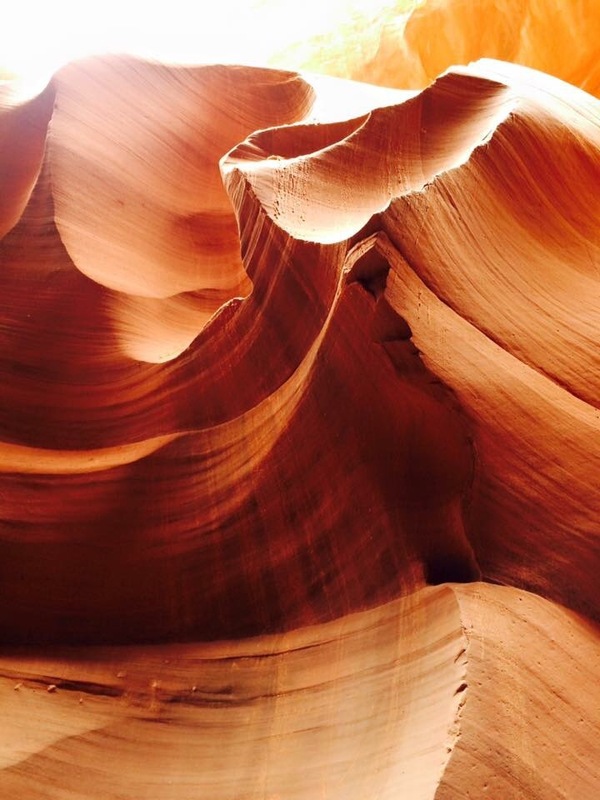 The Lower Antelope Canyon Tour was absolutely amazing and I’ve never experienced such unique nature before. The tour guides were friendly and recommended what settings we should set our phones to and what angles to take our pictures and I think I got some pretty decent pictures out of it! If I ever find myself back in this part of Arizona I would 100% go back to this tour. After we finished there, we took a long car ride over to watch the sun set at the Grand Canyon. The Grand Canyon is an absolute beauty that no words can explain. On Sunday we checked out of our hotel and made our way to the Horseshoe Bend. It was about a 10 minute walk from where we had parked, so a really quick trip before we hit the road back to California! This road trip was an experience to remember and a great way for me to kick off me traveling to new states. This is the first travel video I’ve ever made, so forgive me for the long clips and music being cut off!